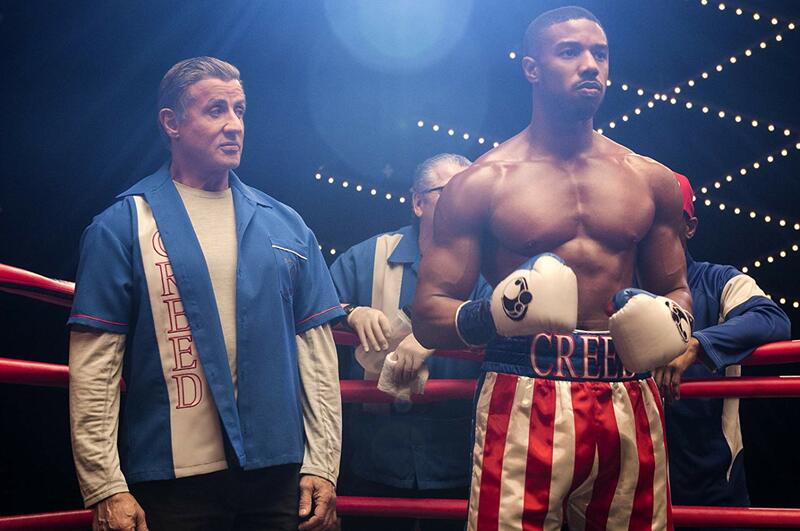 The "sins of the father" idea has been played out time and time again since first making its appearance in the books of Exodus and Deuteronomy, but never has it been so deliciously executed as it is in Creed II given the poetry or, as one commentator within the film calls it, "Shakespearean" nature of one Adonis Creed (Michael B. Jordan), the son of former heavyweight world champion Apollo Creed, coming face to face with the son of Ivan Drago (Dolph Lundgren) some thirty-three years after he killed his father in what was supposed to be an exhibition match. The weight of these circumstances would certainly be hailed as nothing short of mythic to any innocent bystander filled in on the details just prior to the projector heating up and then rolling the whole of Creed II, but for anyone who has seen or been a fan of the Rocky franchise for any amount of time and has specifically basked in the glory of all that is simultaneously great and terrible about Rocky IV then it's not as difficult to see how easily Creed II could have turned into an unmitigated dumpster fire that was unable to capitalize on the great mythology of these events because it couldn't re-configure the tone. The tone of Rocky IV, while featuring Rocky's most formidable opponent and the death of his former enemy turned best friend, is somehow largely light and alarmingly disengaged from the consequences of any of the actions any of the characters take, but what it has afforded this new generation of Rocky films that take the name Creed is the opportunity to see these events through an era where sequels aren't simply cash grabs, but rather that they are taken seriously and can be exceptionally executed pieces of cinema depending on the creative team and the amount of freedom afforded them. In taking advantage of the studio who wanted to take advantage of credible filmmakers who were interested in continuing the story of Rocky Balboa, the result so far has been two films that not only revel in the training montages set to motivational music or intensely choreographed boxing matches (though they still take full advantage of these staples), but films that are also genuinely interested in chronicling the present generation and how they operate based on the influence (and sins) of those that came before them. 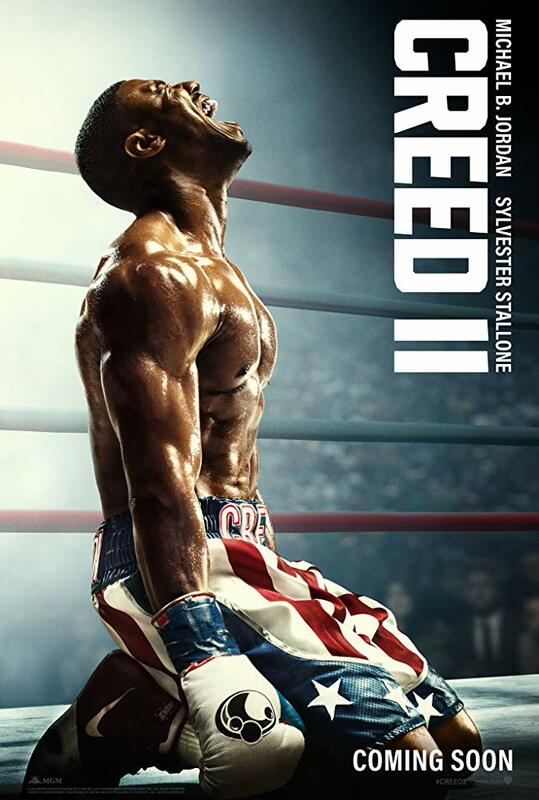 Whereas 2015's Creed showed us Jordan's Adonis figuring out who he wanted to be and overcoming the obstacles and shadow of his father to get there, Creed II continues this development by pushing our protagonist past the point in life where his father found himself; forcing the new heavyweight champ to determine how history will define him outside of being the son of Apollo Creed. Rocky Balboa (Sylvester Stallone) now Serves as Adonis Creed's (Michael B. Jordan) full-time trainer. There was always something of a cautious optimism that loomed over Creed II as there was both much to be excited and much to be pessimistic about. As a sequel to the 2015 Ryan Coogler-directed film that told the story of Adonis Johnson, but put an equal emphasis on continuing the story of Rocky Balboa, Creed II is much more in the realm of being a movie solely about Creed and his journey than it is a movie about the passing of a certain torch. And despite the fact MGM and Warner Bros. wanted to move forward with the sequel despite Coogler's obligation to Marvel and Black Panther, the writer/director of the first film was brought in to assist with character work and story development. It is the absence of Coogler's full investment to the project that signaled the first point of concern as Coogler, who had made only one feature prior to Creed (the cutting Fruitvale Station), offered a voice with a distinct touch that made Creed a vital part of the Balboa mythology rather than the film simply feeling like an excuse to capitalize on a known brand. For the sequel, Coogler helped select Steven Caple Jr. who, like Coogler prior to Creed, had only a single feature credit to his name, but who has a fair amount of TV work on his résumé as well. With Creed II, Caple has proven he has a pair of capable hands as the film retains the cold, gray palette of its predecessor that captures the chilling Philly winters while saving the explosions of light and warmth for when Adonis enters the ring where the colors can explode. And despite Adonis and Tessa Thompson's Bianca being in more comfortable positions here than they were in the first film, Caple keeps things at street level, paying homage to Coogler's film as well as the origins of the franchise itself, but never allowing his film to become little more than a mimic of what Coogler did. 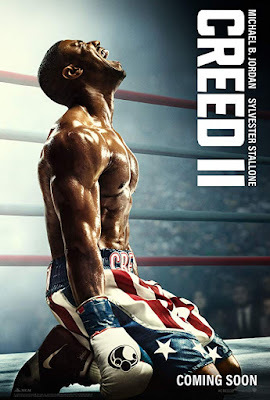 Creed II is very much its own beast if not necessarily in terms of story-we all knew where this was going-but in terms of how it would push the character arcs forward and how it would treat these key characters within the story it was telling. This was another obstacle the film had to overcome as Stallone himself was penning the screenplay along with Juel Taylor who had no previous writing credits to their name. While it's a nice thought the writer/director/star of the original Rocky would have such a heavy hand in continuing the arc of characters born out of his original franchise there was reasonable fear given the plot synopsis that this might end up being little more than a re-hash of what has come before rather than Jordan's Adonis Creed making the franchise his own. Fortunately, it seems that not only story supervisor Cheo Hodari Coker (Luke Cage) Coker and Taylor knew what they needed to do in order to make what is essentially the eighth movie in a franchise work, but so did Stallone who knew he'd have to both allow his Rocky to begin to fade more into the background as well as allow for the plot to not simply repeat the beats of Rocky IV, but repeat them with a certain amount of style and substance that would make the emotions priority and the plot more or less irrelevant. In going about accomplishing this, Creed II begins by hitting us with the fact Bianca-an aspiring musician-has only continued to experience the loss of her hearing and, as a result, deepening the layers to which she and Adonis are connected. The film again opens with a fight, this Adonis is no longer underground and is instead battling to assume to heavyweight title belt. Within the intricacies of capturing an invigorating boxing match on film we see that Adonis' and Rocky's relationship has also grown to that of a genuine bond-one where the young boxer confides in his trainer and mentor before he decides to propose to Bianca. This relaxed and rather comfortable point in everyone's lives is further cemented upon Creed's proposal, but this wouldn't be a movie if such feelings weren't quickly upended and in the case of Creed II we all knew this was going to be due to the arrival of Drago's son, Viktor (Florian Munteanu). Upon Creed's winning of the title belt promoter Buddy Marcelle (Russell Hornsby) informs Lundgren's Ivan that the right time has arrived for Viktor to challenge the son of the man his father killed in the ring thirty-three years prior. In what is maybe the most surprising aspect of Creed II is the approach it takes to depicting the character of Ivan Drago given that in Rocky IV the character embodied little more than a physical specimen; someone who personified the Soviet Union at the time and the whole of Russia in many regards. Drago was a monster, for lack of a better word, a fighter who was more a monster than a man and personified by Lundgren as the apex of physical perfection. In Creed II though, Drago Sr. has seen time take a toll on him as have the after-effects of his loss to Balboa. Lundgren still looks like a picture of health for a man of sixty-one years, don't get me wrong, but the set-up in the film is that the boxer became a national disgrace after losing to the American and though he and wife Ludmilla (Brigitte Nielsen) would go on to have a child a decade or so later the shame apparently became too much for Ludmilla to "bear" leading to a decision to leave her husband and son thus forcing her husband to focus their son's life entirely on finding redemption for the family name. For much of the film, Munteanu plays Viktor much the way Lundgren played Ivan: strong and silent. By the climactic final fight though, Stallone and Tayor's script has given both Drago's more depth by scratching the surface of questions and realizations both seem to be coming to: who and what are both men fighting for? Neither seemed to be boxing for their own sense of satisfaction, but rather more playing thankless roles as puppets for other people or country's trying to prove something. There is a sympathy developed for these characters who are assumed to be little more than archetypes of necessary adversaries, but who are made more than one dimensional beings through added layers and a resolution that speaks to they've become versus who the audience is made to assume they are at the beginning of the narrative. Ivan Drago (Dolph Lundgren) is back in Creed II with a formidable opponent in son Viktor (Florian Munteanu). This goes well enough along with the thesis statement for Creed II even if it comes from the mouth of and pertains more to our actual heroes in the film. In a scene where Adonis and Bianca have just welcomed their first child into the world and Bianca has returned from finding a short escape from this new role of mother in her studio Adonis has come to the realization that he must once again battle Drago in the ring, if not for the pressure from the outside world, but for himself. “You’re not worth anything to anyone if you’re not doing what you love” Adonis says to Bianca and if he doesn't take this fight he won't be able to function day to day knowing that the right decision for him, what he should have done has been left undone. Overall, the film then becomes an examination on growing up; on making the transition from young-adult to full-fledged adult with responsibilities that lie outside the security of one's self. Packing a surprisingly weighty punch that deals in themes of adapting to change and having to strike that balance between what is important to you because it’s greater than you while maintaining what is important to you because it feels like it makes you, you. Both Adonis and Bianca are coping with this balancing act as Adonis is compelling himself to believe he’s worthy and capable of fighting Drago-meaning he will more or less be eclipsing his own father’s life in becoming a father himself as well as potentially defeating Drago-while Bianca does much the same with unexpectedly having to learn to balance motherhood while on the precipice of accomplishing her lifelong dreams of becoming a professional recording artist. While Creed II doesn’t always follow through on these ideas to their full extent the film does offer a kind of understanding about the lives of its subjects in a way that doesn’t allow the significance of those lives to boil down to whether our hero wins or loses a fight, but more about who they are when they come out of these experiences-whatever side that might come out on. And though the family dynamics between Adonis and Bianca become more appropriately complex through the chronicling of these crucial years of their existence, the pacing feels somewhat off overall as the film comes to certain halts when it feels time for a more standard story beats to occur with the film then figuring out what it's going to do to try and improve upon what we know is coming; almost as if we're waiting in real time on the writers to come up with what they need in order to avoid cliché and/or lend weight to them, but while some of the aspects of Thompson’s performance as the pop star are a little cringe-worthy and the trademark training montages don't always find a natural stride even if the use of music is as great as ever, Creed II generally manages to appease if not consistently surpass expectation and this is largely due to the fact that no matter what it's doing it's doing it with a real, authentic spirit.